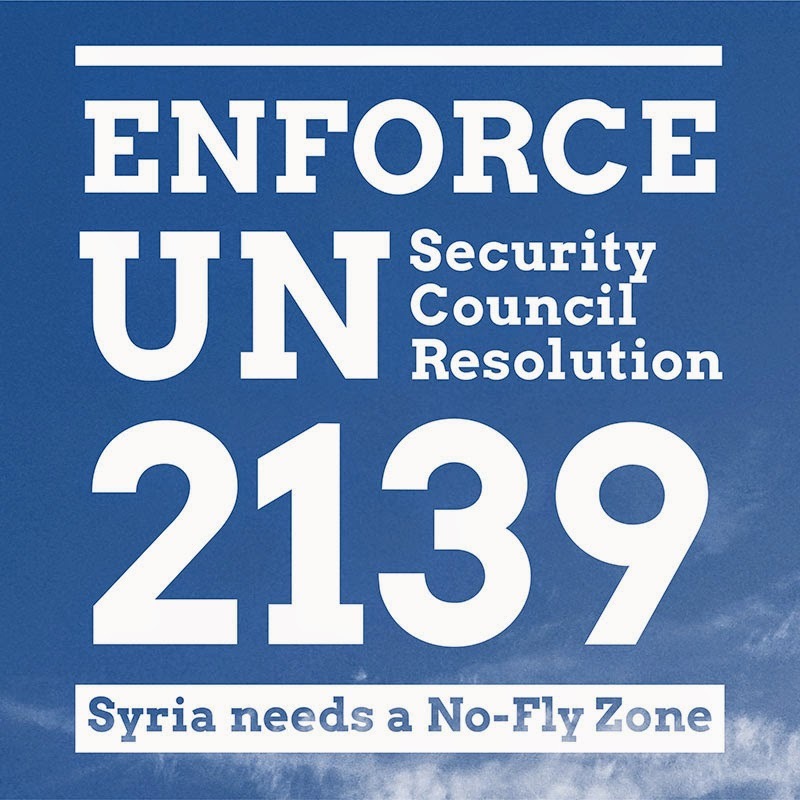 United Nations Security Council Resolution 2139, adopted on 22 February this year, included a demand for an end to indiscriminate shelling and aerial bombardment of populated areas, particularly the use of barrel bombs. 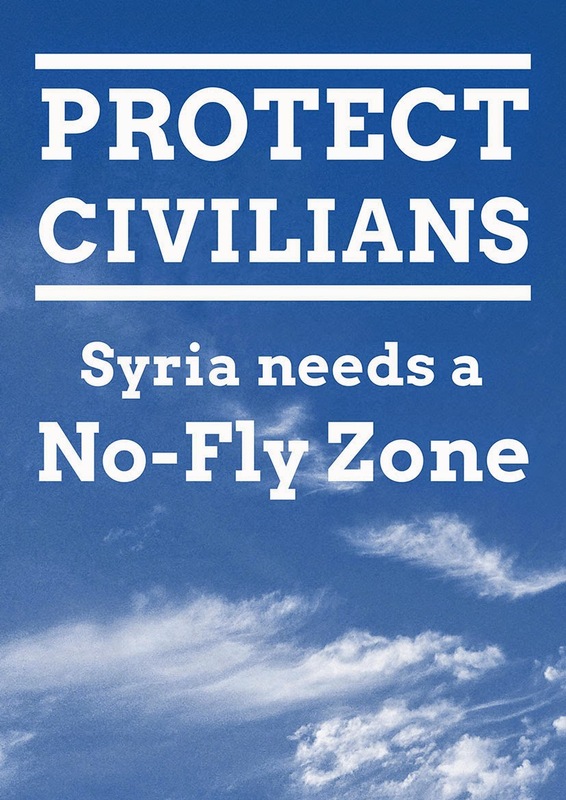 Since that demand was made, over 4,400 civilians have been killed by Assad’s air force. 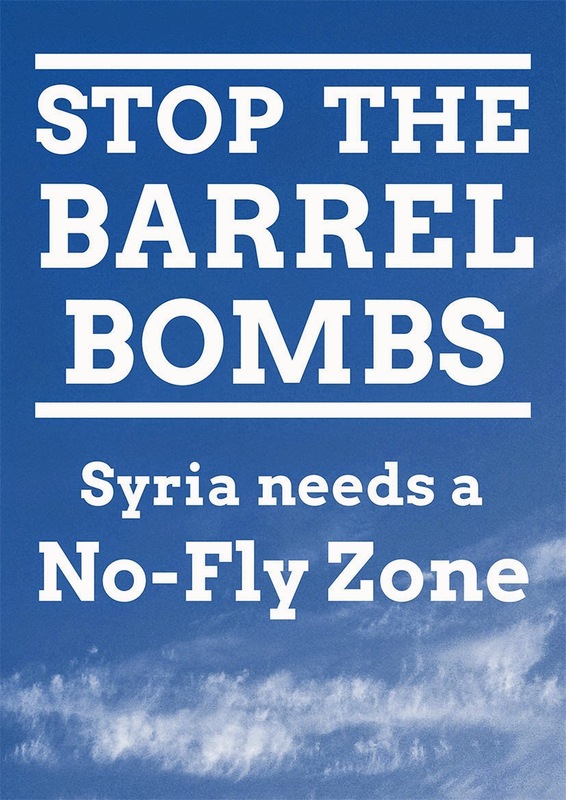 Despite the US-led intervention in Syria, Assad’s helicopters are still dropping barrel bombs. Yesterday, Monday 29 September, saw reports of government helicopters attacking Khan Asal, Hriytan, and Qarah in Aleppo province, dropping barrel bombs on Bait Jin and other locations in Damascus suburbs, and on Inkhel in Daraa, and on Kafr-Zeita, and so on and on. More reports are coming in of fatal barrel bomb attacks today. The US-led Coalition strikes against ISIS/ISIL/IS and others in Syria have added 27 civilians killed to the toll. What they haven’t done is acted to stop regime attacks on civilians. 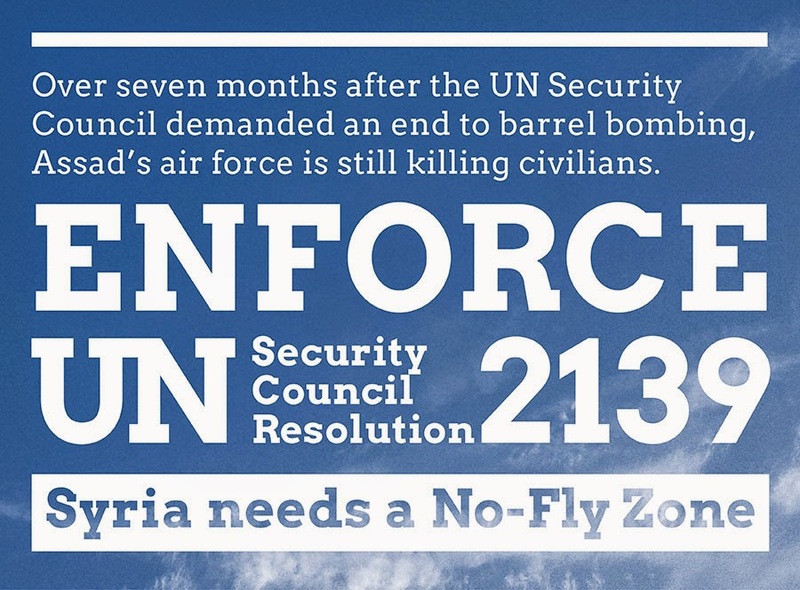 Stopping air attacks on residential areas would be a relatively straightforward task for Security Council members. President Obama has been quoted by the New York Times as saying it would be easier to “wipe out” Syrian air defences than hit ISIS, the current target of US action in Syria. 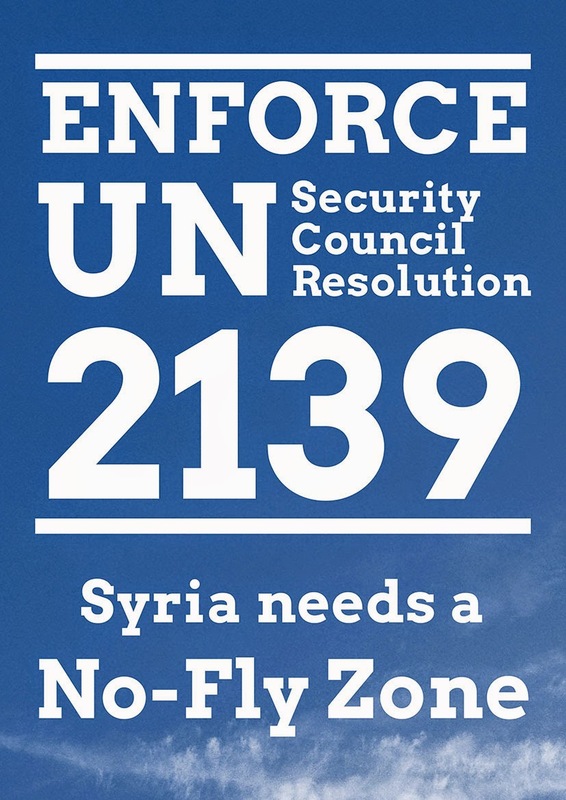 UNSC Resolution 2139 requested the UN Secretary-General to report to the Security Council on the implementation of the resolution in 30 days of its adoption, and every 30 days thereafter, and expressed the Security Council’s intent to take further steps in the case of non-compliance. Air strikes, shelling and indiscriminate barrel bomb attacks by government forces continued on opposition-held areas, notably in Aleppo and Damascus governorates, resulting in a high number of civilian casualties. In Aleppo, government forces reportedly continued their campaign of barrel bomb attacks, which has been ongoing since mid-December 2013. OHCHR received reports that at least 55 civilians, including 17 children and 7 women, were killed as a result of such attacks between 19 August and 3 September. In Damascus governorate, government forces reportedly intensified attacks against the opposition-held areas of Joubar and several locations in eastern Ghouta. Reports indicate that Joubar was subjected to dozens of air raids and heavy shelling on 2 and 3 September, resulting in the death of at least 10 civilians, while aerial bombardment by government forces reportedly killed at least 120 people and injured hundreds of people in Douma (eastern Ghouta). 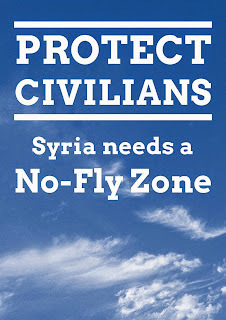 The Security Council’s failure to take any further steps to stop air attacks on civilians is an abdication of its responsibility. The US-led coalition’s ongoing failure to act against the Assad air force’s ongoing massacre of civilians is a betrayal of humanity. Ground Assad’s air force. 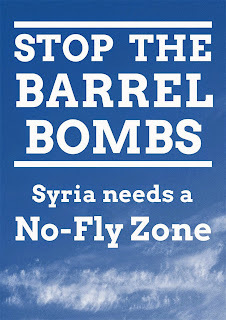 Stop the barrel bombs. 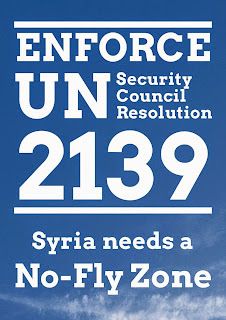 Enforce UNSCR 2139. Wrestling with vote on Friday as I'm yet to see the motion. ISIS are clearly monsters but are air strikes the right approach to stop them? Tomorrow will see a debate in the British Parliament on whether the UK should join military action in Iraq against ISIS (Islamic State / ISIS / ISIL / DAESH)in response to a request from the Iraqi Government. Yes, British parliamentarians should support military action in this case, but their focus should be firmly on the protection of civilians. This means not just acting to stop IS atrocities, but also demanding of Britain’s ally, the Iraqi Government, that Iraq’s military takes proper steps to protect civilians, and that sectarian militias currently fighting alongside Iraq’s army be replaced with non-sectarian professional military forces as quickly as possible. Iraq: on the frontline with the Shia fighters taking the war to Isis. Ghaith Abdul-Ahad, The Guardian, 24 August 2014. Government Shelling Of Civilian Areas In Iraq Continues Despite Premier Abadi’s Pledge Not To. Joel Wing, Musings on Iraq, 18 September 2014. Can PM Abadi Appeal To Iraq’s Sunnis? Joel Wing, Musings on Iraq, 24 September 2014. Syria is not the topic of tomorrow’s debate, but Syria is where IS has its main bases, and Iraq has also called for the international community to help defend them by striking IS in Syria. Just as Iraq is entitled to call on allies to defend it on its own territory, it is equally entitled under the UN Charter’s Article 51 to call for help to defend itself against the threat from Syrian territory, including by strikes within Syrian territory. If the UK Parliament comes to debate action in Syria in the near future, the focus there should also be on protecting civilians. That would require tackling Assad’s terror as well as IS. In 2003 I resigned over Iraq, but in 1992 I called for intervention in Bosnia. This is a 1992 moment, not a 2003. President Obama’s televised speech yesterday on US action to fight IS (Islamic State / ISIS / ISIL / DAESH) in Syria as well as in Iraq was preceded by a White House dinner with a bipartisan group of foreign policy experts, amongst other communications efforts. Missing from the speech, from dinner reports, from briefings by government spokespeople named and unnamed, was any mention of measures to stop the Assad regime’s ongoing bombing campaign against Syrian civilians. The Violations Documentation Center in Syria has recorded over 13,200 individuals killed by Assad’s air attacks to date. That’s a minimum count of confirmed killings compiled by one organisation, not the total number killed. Of those, the vast majority were civilians: 12,661 to date, a number likely higher by the time you click on the link. This killing is ongoing: 260 of those civilians were recorded killed in the first ten days of this month. Now that Obama has committed the US to fighting IS in Syria by means of both US strikes and greater support for Syrian opposition forces fighting IS on the ground, immediate measures should be taken to stop Assad’s attacks. The US should declare that Assad’s air attacks are not only an ongoing breach of UN Security Council Resolution 2139, but are also a threat to US allies in the fight against IS, and a threat to US air operations against IS, and consequently the US should demand the immediate grounding of all military flights by Assad regime aircraft. 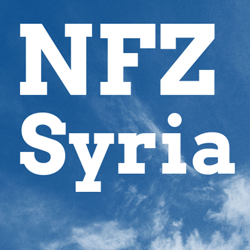 Any further action by Assad aircraft should be punished by attacks on regime air assets: aircraft, airfields, ammunition stores, and air defences. 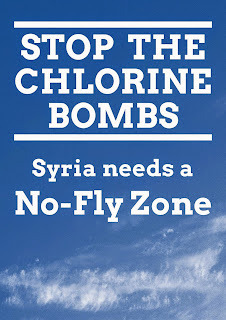 This would in effect impose a No-Fly Zone, not by the continuous patrol means seen in the 1990s in Bosnia and Iraq, nor by eradication as seen in Libya, but by means of deterrence and retaliation. This would be both safer and cheaper than other NFZ options. 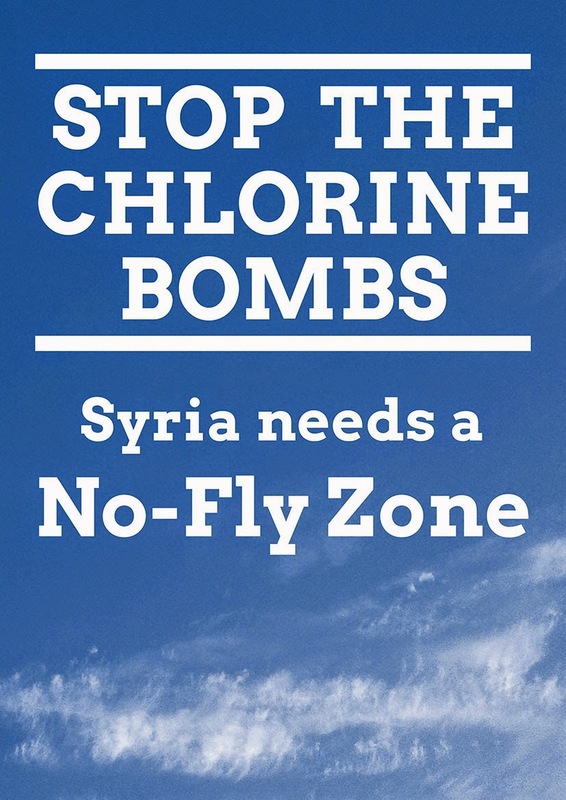 Failure to take action against regime bombing of civilians would undermine support for US action against IS amongst the Syrian population, as well as exposing US allies amongst the Syrian opposition to avoidable danger. Furthermore, allowing regime air attacks on civilians to continue alongside US air attacks on IS would risk the US being blamed for deaths and injuries caused by the regime. Washington Post, 10 September 2014. Juliet Eilperin and David Nakamura, Washington Post, 9 September 2014. Washington Post, 28 August 2014. Syria Statistical & Video Documentation @lopforum, 18 June 2014. Event at the US Institute of Peace, 29 May 2013, with Ambassador Frederic C. Hof, Lt. General David A. Deptula, USAF (Ret. ), Jon Alterman, Joseph Holliday, and Steven Heydemann. Chandler P. Atwood and Jeffrey White, The Washington Institute, 23 May 2014.